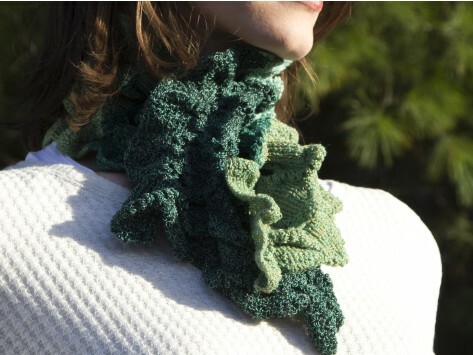 This scarf is made of cotton and loomed in Sheffield, Massachusetts. Easy eyelet closure at the neck allows you to thread the scarf through, offering a snug, soft fit. This scarf is beautiful and as you can see from the website is impressively packaged as well, making it a perfect gift. I bought it for my sister. I love the cotton scarf. It is very attractive when worn. The quality of the scarf is very nice - my only regret is that it is much shorter than I had hoped. Put one on and it stays on—now that’s a scarf worth holding onto.